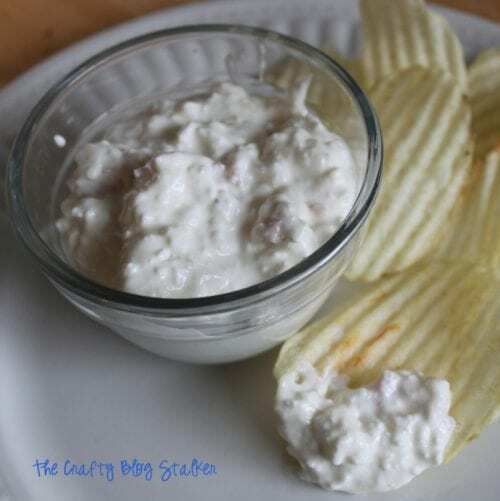 This chip dip is a family favorite and at any Adams Family function or event, you are sure to find Clam Chip Dip on the table. We love it so much, we have nicknamed it Adams Dip. It is really that good! The first time I came into contact with this dip was while my husband and I were dating and I drove up to eat dinner with his family while they were camping and of course, the dip made its appearance. I have never been a big fan of cottage cheese and that is the main ingredients. I swore there was no way I was going to put that into my mouth. Why would anyone put cottage cheese on a potato chip and eat it? But I was young and in love and didn’t want to offend my cute boyfriend. Now I am hooked, so I guess its a good thing that I married that cute boy! 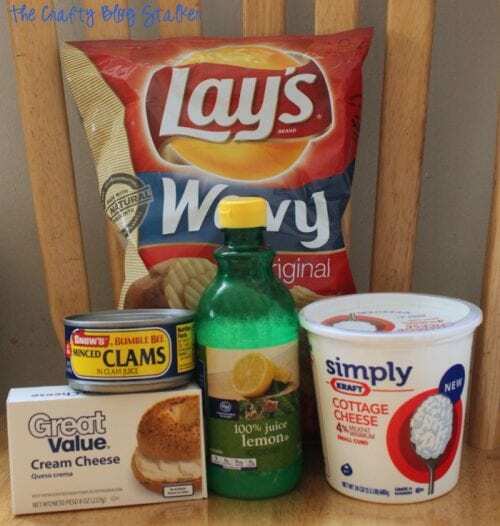 So here is the recipe for that AMAZING Clam Chip Dip! SAVE HOW TO MAKE THE BEST CLAM CHIP DIP RECIPE TO YOUR FAVORITE PINTEREST BOARD! Im going to try this because I loved a seafood dip that publix sold when we lived in florida… But no one here sells it and when I did get some when my husband went on a mission trip down there it didnt taste the same. So now I need a replacement!!! I will definitely try this! 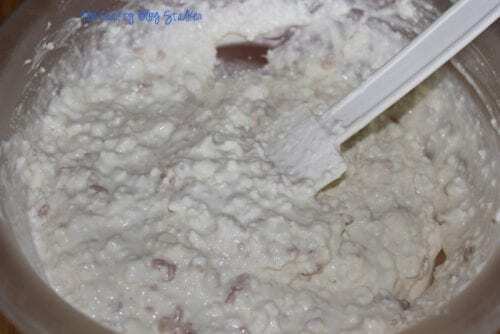 I had a friend (years and years ago) who used to make a big batch of clam dip for get-togethers. I never got her recipe, nor have I found a good replacement. I’m not afraid…I’ve discovered that some of the best recipes have odd secret ingredients. Thanks for sharing! I only like cottage cheese in things, but my husband can eat big bowls of it plain. This recipe would be perfect for us both. Thanks! Sounds amazing, off to find clams over here! We’ve been making something similar for decades. You can really improve the taste with chopped onion, worchestershire sauce, and chicken boullion. We’ve made it with chopped onion and it is delicious! I will have to try with Worcestershire sauce and chicken bouillon! Thanks for the tip! My husband’s family has a very similar recipe, except they use canned shrimp instead of clams. I know what you mean. It doesn’t seem like it would be good, but it is. I love clam dips, but I don’t have a good recipe for one. This sounds really good, however I am not a big cottage cheese fan. I am going to give it a try though. We’ve used a version of this and your recipe a great “start.” I suggest adding two other ingredients: Worcestershire sauce and a bit of Tabasco sauce. Also, for this quantity of cream cheese and cottage cheese we double the amount of clams. I suggest you start by adding 2-3 tablespoons of Worcestershire and 1/8-1/4 tsp. of Tabasco. If you like the flavor, increase both amounts to your taste. This really makes an outstanding dip. 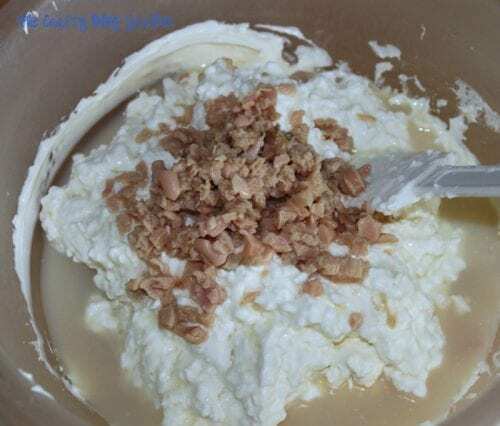 We’ve also used more cream cheese and no cottage cheese. Every time we’ve served it we get lots of requests for the recipe, I hope you enjoy this! 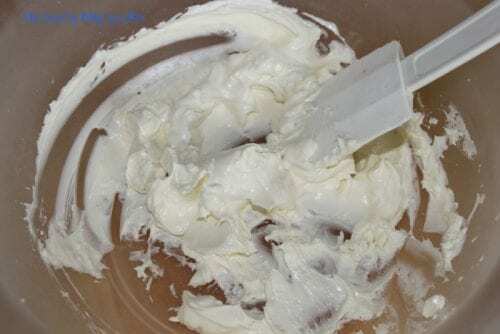 This is how my mom use to make it, there was two more ingredients though. She would put some tobacco sauce, and garlic powder. Ooooh so good. And I agree with you the dip goes best with ruffle potatoes chips or the scoop chips. Thanks for sharing. I will have to try it with those two ingredients added. Thanks Steve! !